While Mac gamers around the country can rejoice at Steam's release, none are cheering more than Valve itself. The Escapist reported Steam was going to be seeing a Mac release, boasting the same Valve content and release dates as the PC version. This will allow Valve to provide Mac users with the same gaming content they give PC users with no lag in release dates, in addition to giving cross-platform support. "We are using this feature to provide cross-platform access to all Valve games to those who already own the PC version. We hope other developers and publishers will use it in the same way," Cook said. The project, Cook said, has been a priority for Valve for quite some time, with Valve director Gabe Newell personally contributing to the project on a daily basis. 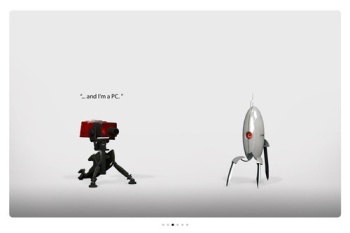 It is Valve's hope, Cook said, that this will produce a thriving Mac-based gaming community. They are hoping other developers will follow suit, keeping Mac users up-to-date on content release. "We consider this to be the biggest event in Steam's history since the service was first launched," John Cook, Valve director of Steam development said. "There are several people involved, from the UI team working on Mac support in the Steam client to graphics engineers working on the native version of Source and our games. It's a big effort."